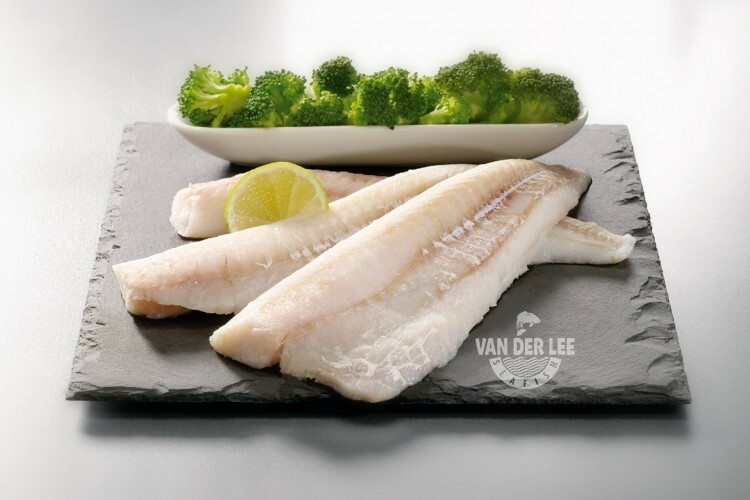 Van der Lee Seafish has two kinds of cod available. First of all, we have the Atlantic cod, which is also called Gadus morhua and cod. And secondly, we have the Pacific cod, which is also known by the names Gadus macrocephalus, gray cod and grey cod. Both types of cod are used for our cod fillets, depending on the demand of our customer. The Pacific cod (Gadus macrocephalus) is caught in the Pacific Ocean, which is also known as FAO fishing area 67. The Atlantic cod (Gadus morhua) is caught in the Atlantic Ocean, which is also known as FAO fishing area 27. Since the Pacific Ocean is quite far away from the Netherlands we have to import our Pacific cod all the way from China. However, we can ensure you that the fish is processed, packed and transported in perfectly hygienic conditions. Van der Lee Seafish is also MSC-certified, so as a supplier we can also ensure you that our cod is sustainable. We sell our cod fillets skinless, pin bone in and boneless. We also have crunchy cod fillets, cod nuggets and crispy cod fillets available at our ‘Added Value’-page and cod loins at our ‘Fish Worldwide’-page. Cod can be recognized by its catfish-like whiskers on its lower jaw. The fish also has three separate dorsal fins. Its flesh has a lean and mild flavour. Cod fillets are a good source of protein, omega-3 fatty acids, iron and vitamin B6, B11 and B12. They also don’t contain any sugar and fiber. Thereby, the fillets are low in calories too, since one hundred grams of cod fillets only contain around 118 calories. So in short, we could say that cod fillets are really healthy for us. We export our cod fillets mainly to Germany. However, cod is actually popular in a lot of countries. For example, in Portugal cod is also eaten a lot. They dry and salt it and they use the Portuguese name ‘bacalhau’ for the fish. The popularity of cod is also one of the reasons why it is used in a variety of dishes. Cod fillets can be prepared by pan-frying, deep-frying, grilling, baking and roasting. If you want to keep it an healthy dish you can eat the cod fillets with vegetables and mashed potatoes. You can also add lemon juice to the cod fillets, this will make the fillets even more delicious.